For as obvious, mainstream, touristy and commercial as it may seem, I believe that trips to Peru can’t be considered complete without visiting Cusco. 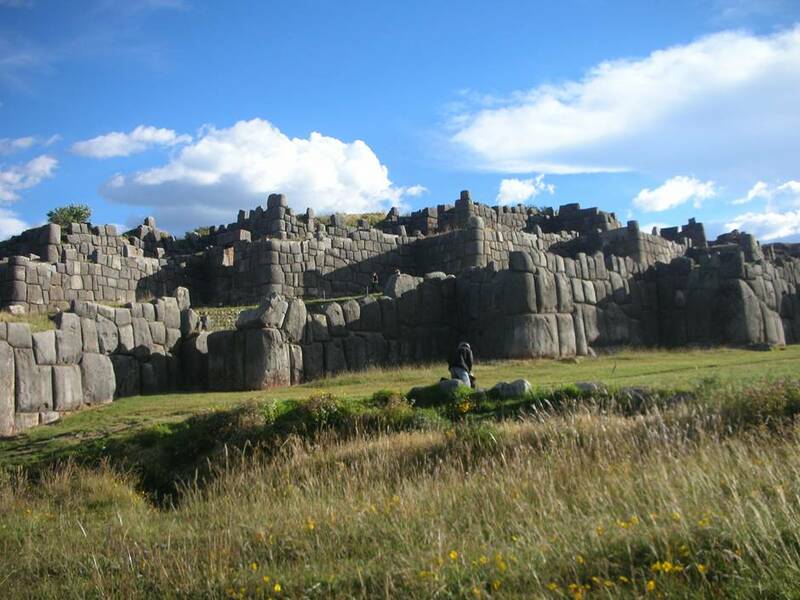 There are so many things to do in Cusco that it is easy to spend a few days there. 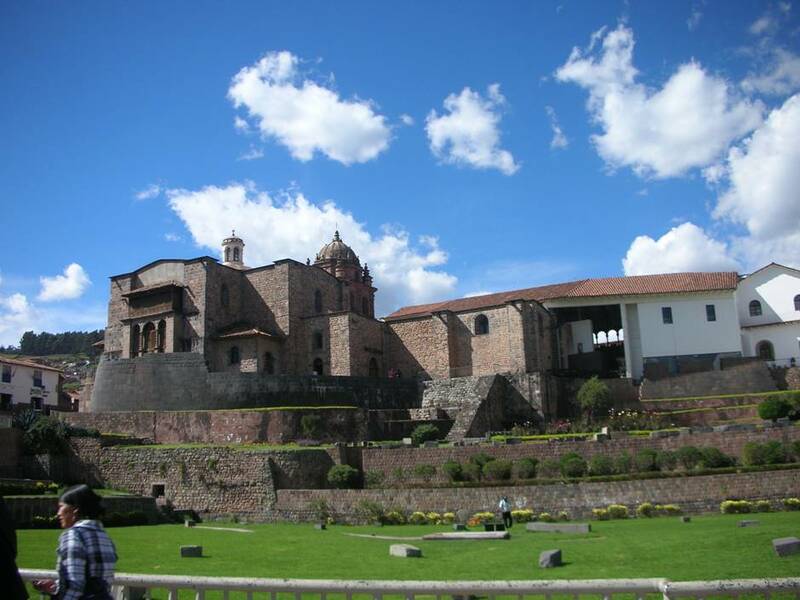 The city is a wonderful mixture of inca ruins and colonial buildings. Walking around aimlessly took me to its many pretty squares, its various museums and churches. I did not miss a visit of the cathedral and of the Qorikancha, where an inca site forms the base of the colonial church of Santo Domingo. Compulsive shoppers will also find it that one of the best things to do in Cusco is shopping: it was hard for me to resist the many markets and artesania shops. Since I had a little extra time to spend there before going on my next adventure to the Inca Trail or Sacred Valley, and I was looking for what to do in Cusco, I found out that there are a number of interesting and well preserved inca sites right outside the city, which include Saqsaywaman, Tambomachay and Pukapukara. 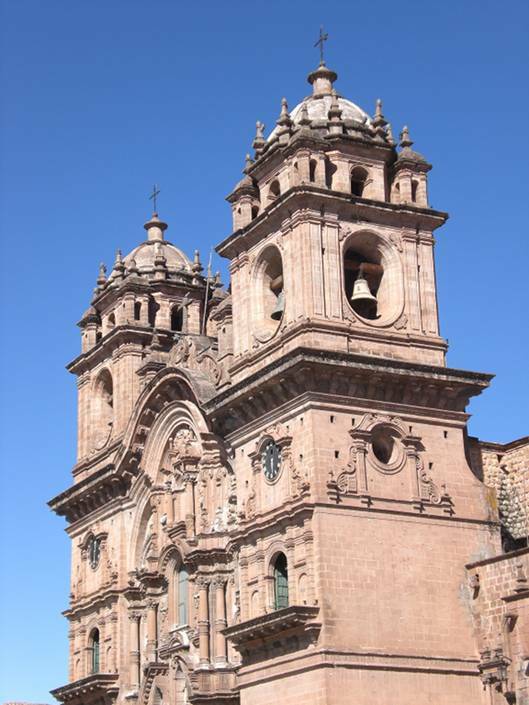 A tour of these normally also includes also a guided visit of the Qorikancha, so since I was planning to see all of them, I bought the Cusco City Tour (boleto turistico) to avoid extra costs. The sites can be visited independently, and reached by public transportation (hop on a bus bound to Pisac). It is possible to walk back (Tambomachay is the furthest away at 8 km from Cusco), but only do so before nightfall (it gets dark at around 6pm) and if in a group, in order to avoid attacks. Going on a guided tour gives the services of a guide, which may make the difference in the overall experience. There are plenty of agencies on the main square or the streets nearby that will try to sell tours. Do negotiate the price, just as with anything else! Cusco is one of the most important and beautiful cities in Peru, the starting point from where to visit the Sacred Valley of the Inca and Machu Picchu, and to start the Inca Trail. It is well connected to the rest of the country, and can be easily reached via land or by plane. Depending on where one is in the country, on the budget, and on the time available, it is possible to decide what mode of transportation is the most convenient and book in advance. Buses leave every day from Lima, Arequipa and Puno. The trip from Lima takes roughly 24 hours. Cruz del Sur offers the best bus services, with cama and semi-cama seats, making the journey relatively comfortable. However, keep in mind that flights to Cusco from Lima (usually with LAN) are only slightly more expensive than buses and it may well be worth spending a few extra dollars for the extra comfort of arriving there in just a few hours. Extra tip: those who have a frequent flyer card with American Airlines or British Airways, should remember LAN is a partner and they can get mileage for the flight, all of them going towards a reward ticket eventually. Cusco altitude makes it fairly cold. When the sun gets out, it is warm. But thunderstorms are guaranteed in the rainy season (November through April). There are just about a million budget accommodation. Real backpackers won’t want to make reservations but remember that walking around with a heavy backpack at 3300 meters above sea level may not be so easy, even for those who (like me) are in good shape. The thin air gets to the lungs, breathing gets harder and walking increasingly tiring, even more so on those hills (to fight altitude sickness, drink mate de coca, drink lots of water and little alcohol). One of the best things to do in Cusco may then be making a reservation for a dorm, even if just for one night, and hopping on a cab to get there. My humble advice is to get a fairly decent one. It is a party town, and I do care for a good night’s sleep, so I wanted to make sure to avoid party hostels, as well as hostels that are on main streets (there is a lot of traffic and noise), especially in the area around Plaza de Armas. Opt for one that is up on the hills of San Blas, for example, for a top view of the city. Furthermore, given Cusco weather, I had to look for a room that is properly insulated, with enough blankets on the beds to fight the cold. Many hostels in Cusco are located in old, humid buildings and they get bone-chilling cold at night. Heating isn’t really an option in budget accommodation, and getting out of the shower in that freezing room won’t be pleasant. Another thing I strongly advise to do is to actually check the showers: the majority of hostels opt for electric showers, which means that the less powerful the water, the warmer it gets. However, electricity issues often mean that the water hardly gets lukewarm, making showering a torture. My suggestion is to look for gas heated showers. Check, or read reviews online for this. Finally, double check that kitchen use is allowed as many places do not actually permit it. Piccola Locanda in Calle Resbalosa 520 is a lovely bed and breakfast whose profits go in favour of a local charity. It has charming rooms, some of them with a spectacular view over Plaza de Armas. Cuscopackers, in Prolongacion Av. Arcopata N° 129, has beautiful views over the hills, it is safe, clean, and the staff is nice and helpful. Beware as rooms are on the small side, quite chilly, and showers temperamental. Breakfast (hot drinks, juice, bread and jam and butter) is included in the price of the room, however kitchen use is not allowed. Dorm beds cost around $9. Hostal Atlantis, in Avenida Lucrepata D – 1 in San Blas, is more of a hotel than a hostel. Rooms are comfortable, they all have flat screen tv and powerful hot showers. Rooms ($20 per person for a double private room) are not well insulated against the cold, and they overlook a rather busy street, so beware in case you are a light sleeper. Breakfast is included and kitchen use is permitted. Cheaper options are called hospedaje (family run accommodation). Eating is a feast in Cusco, whatever the budget. There is anything for any palate, from new age vegan and vegetarian to fusion, from pizza to traditional Peruvian cuisine (including ceviche, alpaca meat and cuy), to burgers and Chinese food. On the expensive side, Papacho, in Portal de Belen 115 2do Nivel Plaza de Armas, has excellent, huge and juicy burgers. Uchu, in Calle Palacio 135, is a great grill house: meat is served on a hot stone so customers can grill it to their liking. Fallen Angel, in Plazoleta Nazarenas 221, has excellent food and an amazing setting – worth going even just to look around. Bodega 138, in Herrajes 138 Cusco, has good wood oven baked pizza (avoid olives, they are extremely salted!). In the incredible “mercado” – the central market – it is possible to get all sorts of fresh ingredients to prepare meals at the hostel. The same goes for drinking: plenty of pubs, bars, coffee shops. At just about any time of day one may stop and have a mate de coca (coca tea) which helps in fighting the altitude sickness.